Looking for fresh powder for skiing and snowboarding? Mammoth Mountain has it. Lots of it. 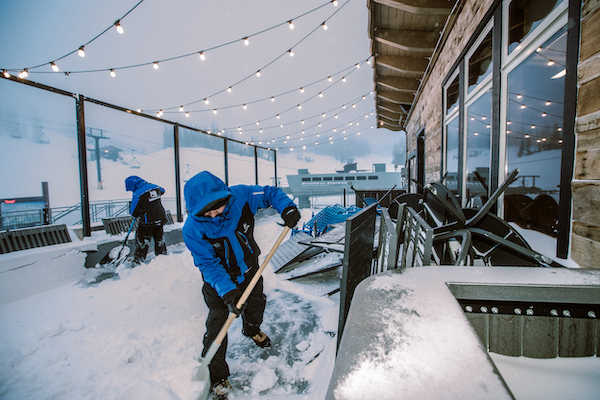 The resort received 4.5 feet of new snow at the summit and 3 feet at Main Lodge thanks to a productive storm that passed through the Sierra Nevadas over the weekend. Weather.com predicts Mammoth Mountain will receive snow or snow showers during six of the next 10 days — certainly adding to the resort’s 60- to 80-inch base. December has been good to Mammoth! With nearly 5 feet of fresh snow falling this month Mammoth is set to open all of its base areas today (Canyon and Eagle lodges) and new terrain, including chairs 8, 15,16 and 17. In total, Mammoth now has 18 chairs open, servicing 80 trails, the most in California by some margin. Some great action shots by Kevin Westenbarger from the weekend’s storms are available here. Also have some good video shot yesterday here. This is all good news for last-minute holiday travel planners. Night of Lights on Saturday is a can’t miss Eastern Sierra tradition and NYE at Mammoth can be celebrated a number of ways, with programming for both Familes and Party Animals. 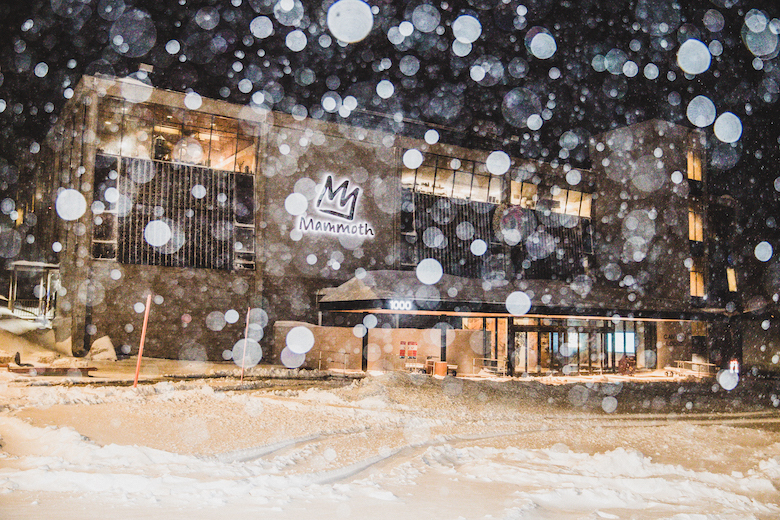 The storm gates have officially opened and the season is underway here at Mammoth Mountain! It received 13-22 inches of sweet, sweet snow with a storm that rolled in yesterday and there’s more on the way. Conditions up there are awesome and they’re just getting better. Want to be the first to know when it snows? 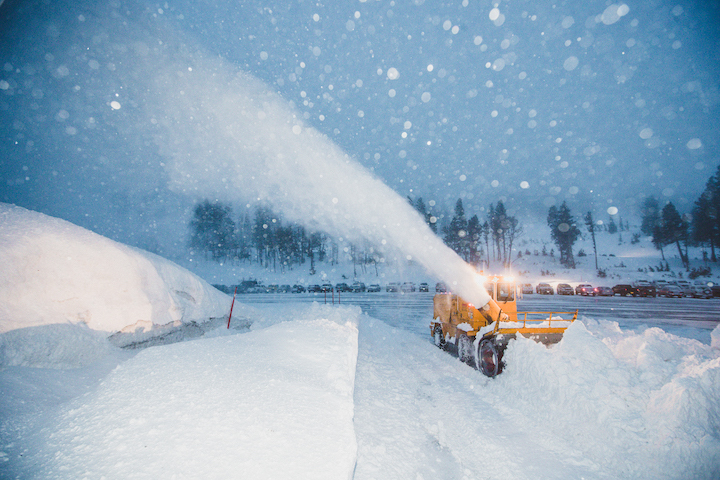 Sign up for our Fresh Snow and Dump Alert emails here. Mammoth is currently getting hammered by a system that’s likely to leave between 2-3 feet of fresh on the summit when it’s all said and done. 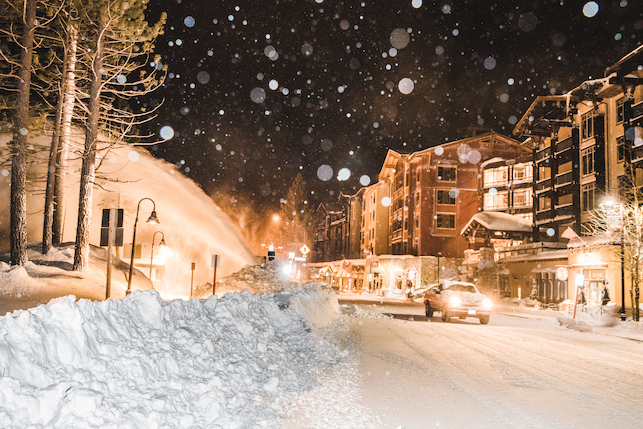 Also, Mammoth is offering a snow guarantee good for bookings by Dec. 15. It’s pretty straight forward, if the base depth isn’t at the required level, guests get the option of a $100 gift card or the ability to move the reservation dates with no fees or penalties. Though with all this snow, shouldn’t be much of an issue! Vega positioned his daughter in place, in a safe area at the bottom of the slope, away from the throng of snowboarders zipping down the mountain. He whispered a few words of encouragement in her ear, then gave her a gentle push forward. He darted forward, several feet ahead of his daughter, then turned and held out his arms to receive her. Clad in pink ski pants, a pink ski jacket and a knitted Curious George ski cap, Brooke was all smiles as she slid about five feet across the slope and into her doting father’s arms. Vega was one of hundreds drawn to Bear Mountain on the cloudless and rather warm Black Friday for the resort’s opening day of the season. 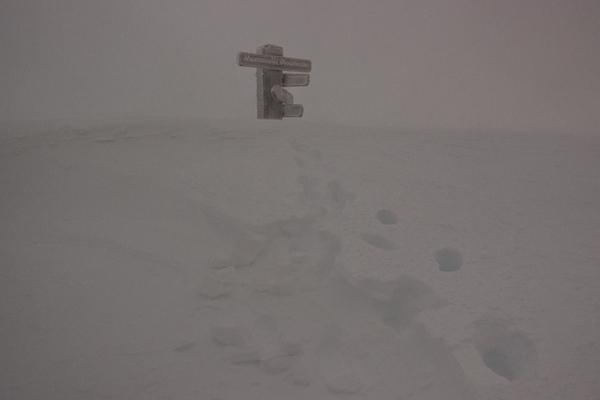 Neighboring Snow Summit opened for the season on Wednesday. “It’s awesome. It’s beautiful weather,” said Vega, who along with his twin brother owns a cabin in Big Bear Lake, where he and his family spent the Thanksgiving holiday before taking to the slopes on Friday. The two opening-day events, at Bear Mountain on Friday and Snow Summit on Wednesday, marked their first under new ownership by Mammoth Mountain Ski Area, which announced its purchase of the sibling ski resorts in September. The sale awaits the closing of escrow, said Rio Tanbara, director of marketing for Bear Mountain. Mammoth Mountain’s 2014-15 season is now underway, but many are still recovering from an amazing opening weekend at Mammoth. They put together a quick video edit of the festivities on and off the hill, which you can find here. This weekend new terrain including Discovery Chair, Facelift Express and Thunderbound Express are set to open, providing access to Saddlebowl, Sesame Street and Lower Main Park, with more on the way. Dust off your skis and snowboards, call your friends, and start this season off right. Mammoth Mountain is kicking off opening day on Thursday with its traditional Broadway Express banner breakthrough and annual beer toast. Enjoy live music, food, and drinks on the Main Lodge sundeck during the day, contests in the park and more. 11am – Beer toast on the Main Lodge Sundeck and drink specials at Tusks Bar. Try a mimosa’s or the award winning bacon bloody mary. Opening Day is just around the corner! Dust off those skis and boards and get ready to kick off the winter season in classic Mammoth style. November 13 is just around the corner and there will be plenty of events, parties and snow shenanigans for everyone. See you on the slopes on Nov. 13. Introducing the Cali4nia Pass, the best thing to happen to California skiing since stretch pants. The Cali4nia Pass gives you unlimited and unrestricted access to Mammoth Mountain, Bear Mountain, June Mountain and Snow Summit for $689. From a quick getaway to Big Bear to a full family vacation at Mammoth, we’ve got you covered. 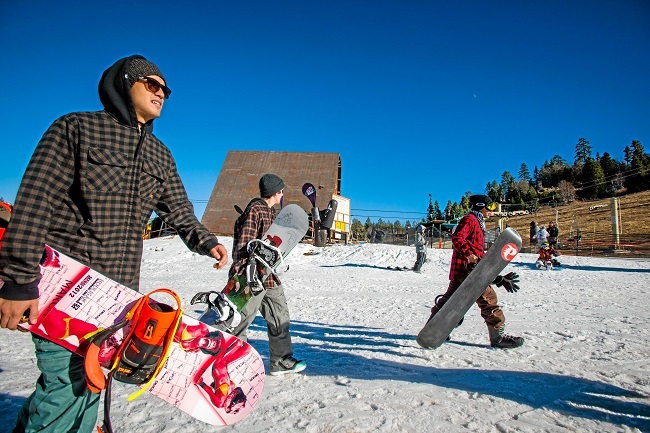 Every style, every skill level and everyone is invited.Plus, the Cali4nia Pass offers amazing perks like discounted tickets for friends, special early mountain access, and savings on food, lodging, equipment rentals and more. Mammoth + Bear Mountain + June + Snow Summit = Cali4nia Pass. All the benefits of Mammoth & June plus anytime access to Bear Mountain and Snow Summit. Measuring at 50 feet wide by 50 feet long, the Monster Energy Air Bag covers the entire surface area of a jump allowing users to attempt new tricks, with an airbag landing, before taking it on a snow landing. The Monster Energy Air Bag is open to adult and youth skiers and snowboarders of intermediate-advanced ability. A lift ticket is required to participate. Coaches with Mammoth’s Snowboard and Freeride Teams will be offering traning camps to help hone in on your jumping. Camp Sessions are open to the public. Enrollment includes one hour private jump session, individualized instruction, daily video review and unlimited use of the Monster Energy Air Bag. Prices: $200 per person; call 800.MAMMOTH to book today! Team Training is also available. For more information on the please contact Ben Wisner at bwisner@mammoth-mtn.com or 760.934.2571 ext. 3144. *Lift ticket and helmet required. Weather and conditions permitting. It’s a rite of spring in Mammoth. Every year, while other resorts in California, Colorado and Utah are closing their slopes, we keep skiing. And riding. And skiing. And riding! With 6-8″ of fresh snow (and more coming), great spring deals and top-to-bottom terrain open through Memorial Day, now is the time to hit the slopes. Vote for your home mountain and help us rank #1 in Ski Magazine’s Poll. Buy it now, use it now! Get unlimited skiing and riding this spring and for the entire 2014/15 season with no blackout dates. Your pass entitles you to tons of discounts and benefits across the mountain. at Mammoth for $35 everyday. Kids 6 and under ski free!